I have been performing many Brazilian Blowouts on many of my natural clients, especially in the summer months due to silk presses just do not last on people that are very physically active and sweat in their scalp, or live in humid conditions. Also, some natural women just want a break from the curls and want to enjoy straight hair for a longer period of time than the silk press can provide but do not want the actual permanent commitment of a relaxer. For these reasons, a brazilian blowout is the answer. I will be the first to admit that I have been using the phrases "keratin treatments" and "brazilian blowouts" interchangeably. However, they are slightly different. Brazilian blowouts are keratin based treatments that do not contain any carcinogens or aldehydes, making them the more preferred choice. They last up to twelve weeks and after that the hair returns to its natural state. Keratin treatments contain formalin which, when heat is applied and the hair is flat ironed, turns into formaldehyde. Once applied the hair can not be wet for three days, unlike the brazilian blowout which can be wet the same day without affecting the results. I did the Brazilian Blowout on myself and am about to share my results with you. I did it because I am at the halfway mark in my stretch and wanted to get it to help me get over the hump. It will straighten my hair for up to twelve weeks, and at that point I will be ready for my next touch up. This will help me in my stretch. Relaxed women can also get keratin treatments, but I personally do not see the point in getting them if you are not significantly stretching. 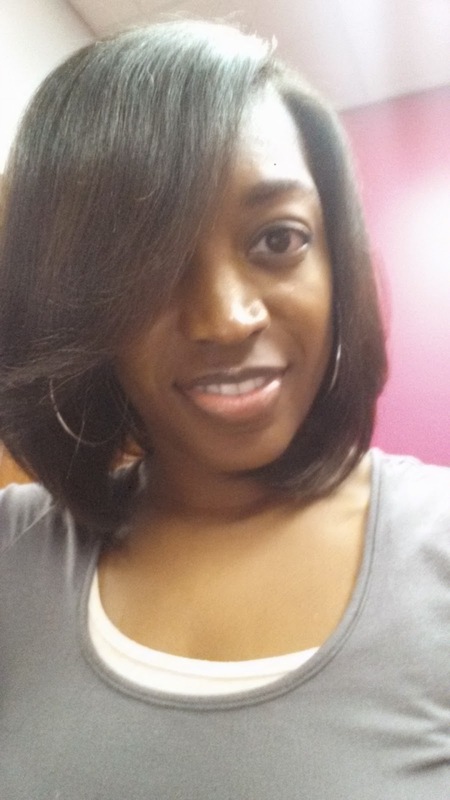 Most people wanting brazilian blowouts get them to enjoy straight hair, and since relaxed hair is already straight it is not the preferred choice of relaxed women. However, when you are stretching your relaxers out, they can be excellent to help with that, especially when you do not wear weave. They do not do any damage to the hair so it is safe to do on relaxed as well as colored hair. 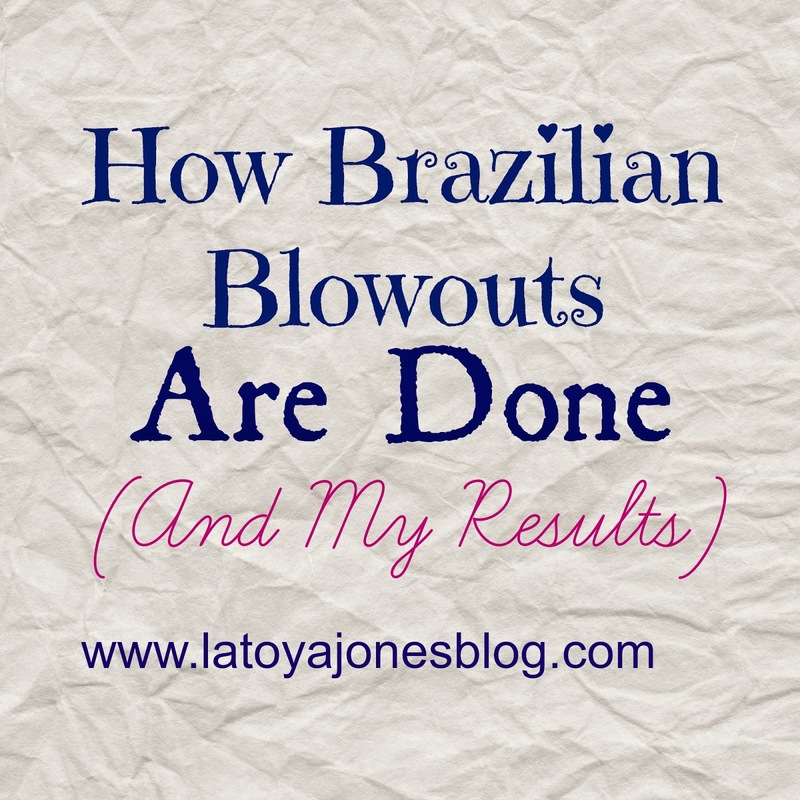 Check out the video results of my brazilian blowout. WARNING**** THE SERVICE YOU ARE ABOUT TO SEE IS BEING PERFORMED BY A LICENSED COSMETOLOGIST. THIS SERVICE SHOULD ONLY BE PERFORMED BY A PROFESSIONAL. PLEASE DO NOT TRY THIS AT HOME.